I am a firm believer that we taste with our eyes before a drink even passes our lips. My eyes naturally beeline straight for eye catching illustrations, interesting shapes and the unusual. I know that I am not alone in this sub-conscious and very visual, decision making process when it come to drinks bottles. 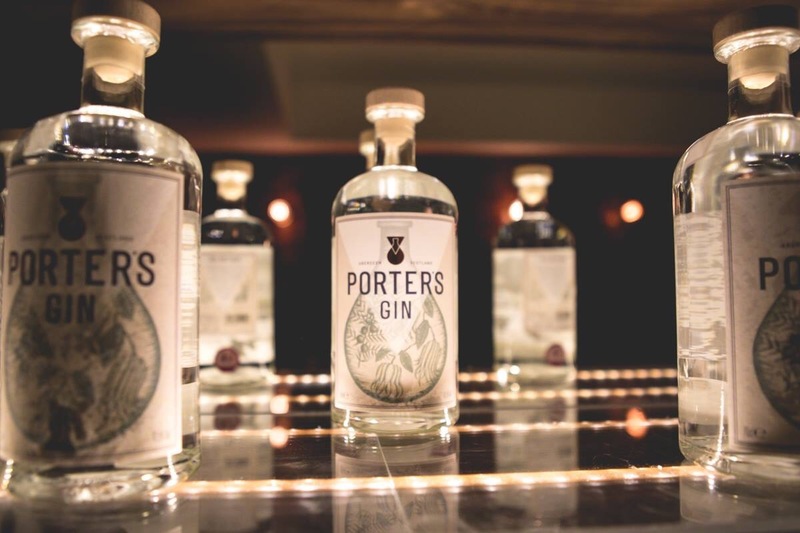 With this in mind it was really important to me to help the guys at Porter’s Gin create a strong visual presence for their brand. They needed something that told the story of the gin and something that would make their bottle jump out from a row of many. They needed to entice people to try its contents and fall in love with it. They wanted something that reflected the great efforts they have gone to with creating the perfect gin recipe. A gin that is packed full of unusual botanicals and made using very unique scientific processes. 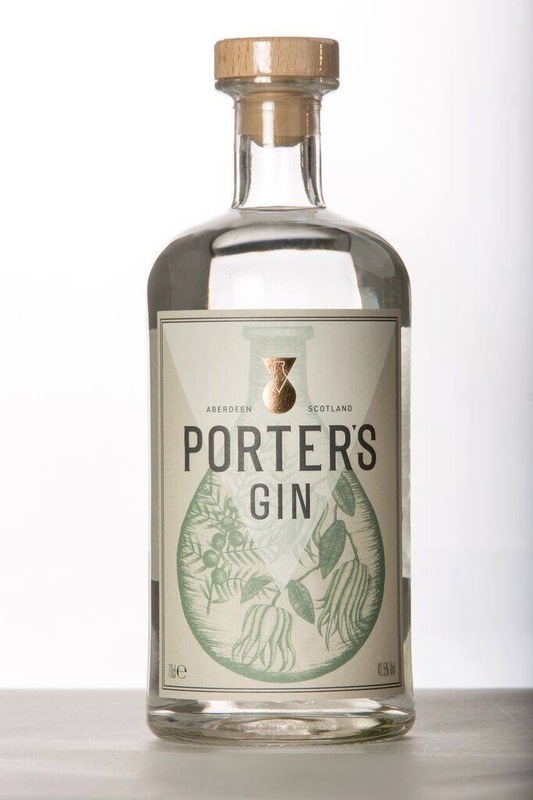 Ben showed me the exact process that they were using to create Porter’s Gin so that I would know the product inside out before even putting ink to paper. He showed me the rotovap and taught me about the botanicals. I smelt the fragrant distillate too. Ben told me all about the pot still and the final distillation processes. I also spoke established bartenders about making drinks with gin and what specifically stands out about a bottle. Armed with all of this information I sat down to draw. I imagined that I was mixing an inky version of Porter’s Gin on my paper when I began combining images of buddah’s hand fruits with pink peppercorns and juniper berries in various illustrated versions of glass bottles and flasks. I also set to creating the whole gin making process on paper. 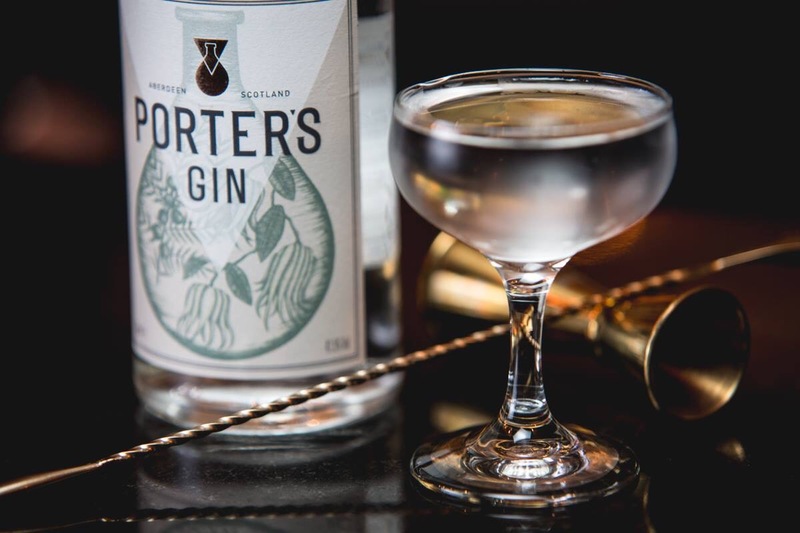 Images of pot stills, rotovaps and mixing glasses began to appear on my pages alongside cocktail making tools as my mind journeyed on to the final drink that Porter’s Gin would be a part of in someone’s hand. 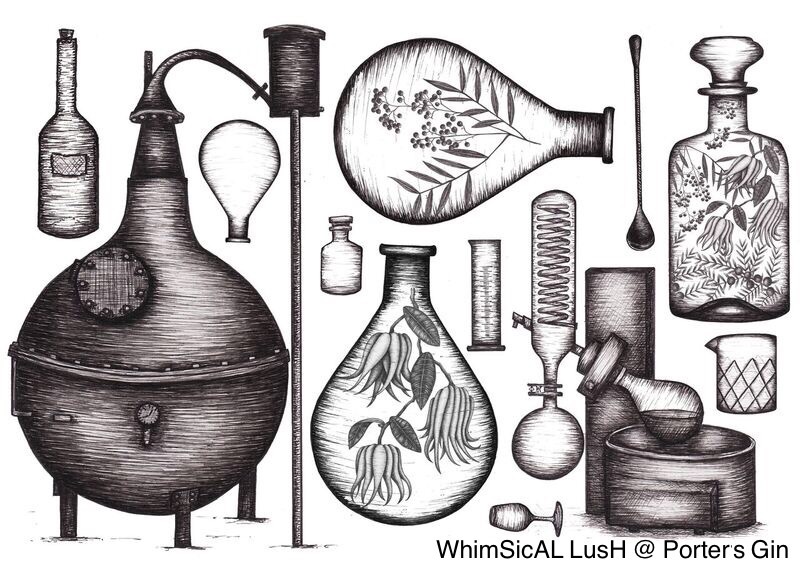 These illustrations went on to become the concept behind the Porter’s Gin flask logo and became reality when real flasks were filled up with the real botanicals and captured in photographs. The gin was launched on 5th December 2015 at Orchid, Aberdeen. 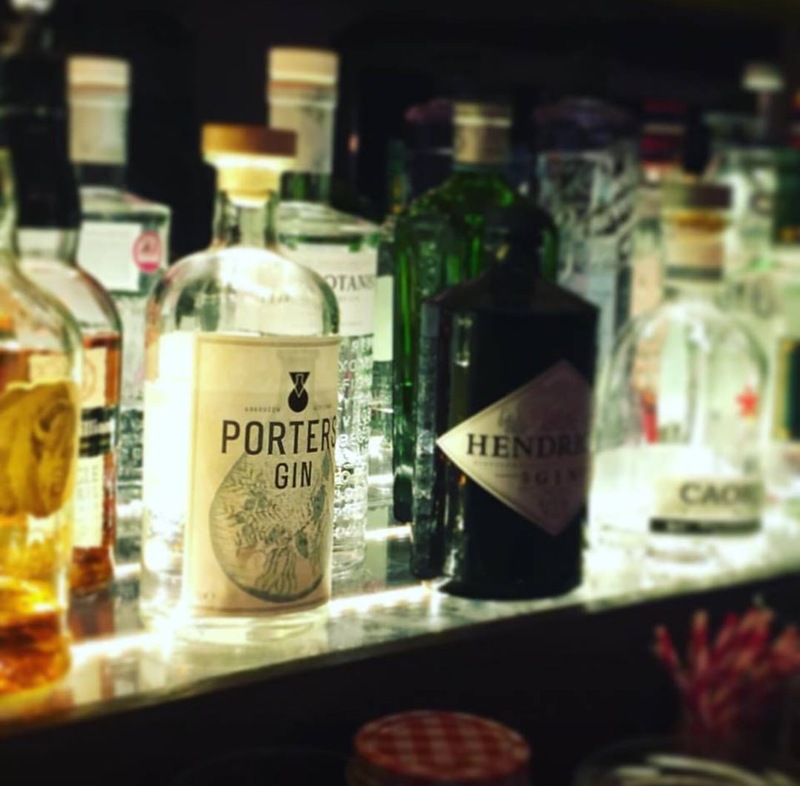 I was delighted to be there to taste some of the first drinks made with Porter’s and experience everyone’s reactions to it and the bottle illustrations. 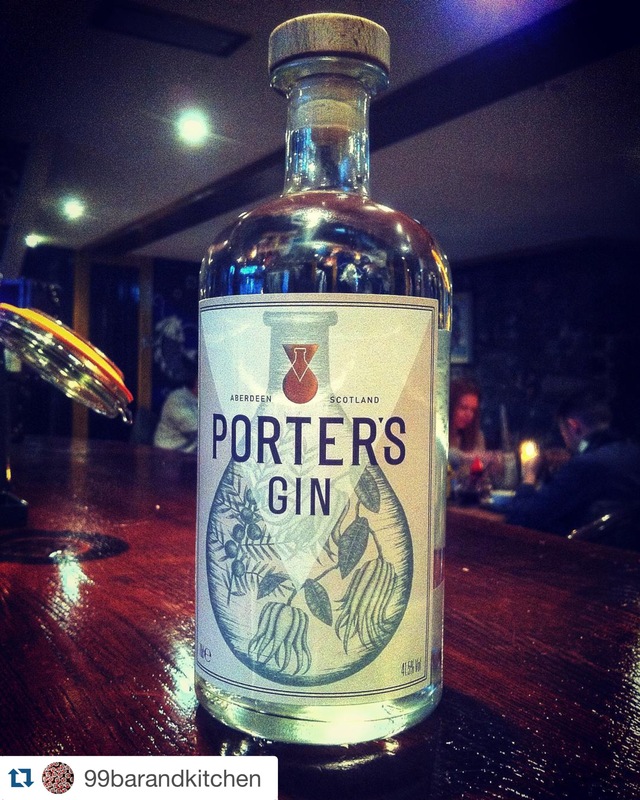 I’m really proud to be a part of the Porter’s Gin story. It looks as good as it tastes. The botanicals shine through as they dance around the senses… just like they do in the flask on the label. I think that the guys have come up with a bottle that stands out from the crowd as unusual and interesting, which is not an easy thing to achieve. I am proud to be a part of the first gin 100 years to come from Aberdeen and proud to be giving some bottles as special gifts to friends and family too. 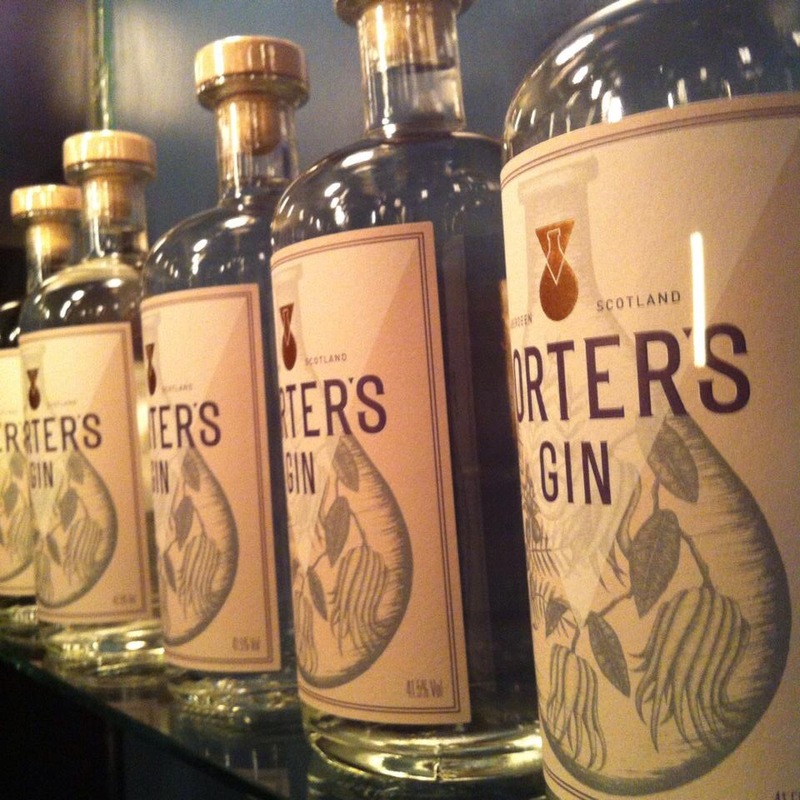 It has been a pleasure working with Porter’s Gin. The passion and enthusiasm was apparent right from the start and the dedication to getting everything just right was infectious.